Of all the daily horrors inflicted on New York City subway riders, there are few experiences more vexing than the "good service" trap. It begins with a glimmer of hope: You consult the MTA's website or app and are told that the trains are running without problems, which you believe, because who would even lie about something like that. But when you arrive at the station, your train is 15, 16, 20 minutes away, if it's coming at all. Betrayed, you stare into the pitch-black tunnel, once again questioning the MTA's empirical grasp of the world around us. There are plenty of reasons for the "good service" trap, none of them reassuring. For one thing, the system's ancient technology means that the MTA literally doesn't know where most of its trains are at any given moment. It may also sometimes take a minute to update the website after major incidents (possibly due to the fact that they're using a web browser from 1995). But there's another explanation for the frequent discrepancy between service promised and service reality, which is that the MTA's definition of "good" is wildly out of line with how the average human being experiences the concept of "good." 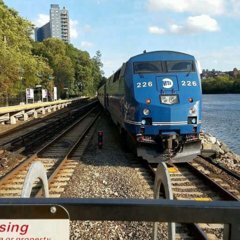 The MTA basically admitted as much last week, in a tweet explaining that subway service is technically classified as "good" if a train arrives within five minutes of scheduled headways. 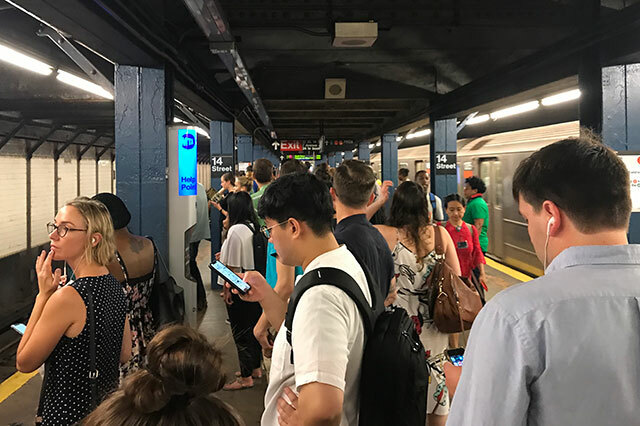 Because the MTA's planned headways are all over the place outside of peak hours—from 5:30 a.m. to 9 a.m. and 4 p.m. to 8 p.m.—a 13 minute wait for an F train at 8:30 p.m. is still considered "good service." Reached for comment, MTA spokesperson Shams Tarek told Gothamist that planned headways shift throughout the day and differ for each line. Absent planned work or service disruptions, the longest scheduled interval between trains is 20 minutes, which is the case for most trains after midnight. So, under the MTA's rubric, waiting 25 minutes for a subway can still be considered "good service." This is either metaphysical subjectivism or gaslighting, depending on your philosophical leanings. Pressed about whether the MTA has any plans to reevaluate their understanding of Good vs. Bad, as the tweet indicated, Tarek said he'd get back to us. In the meantime, next time you find yourself a victim of the "good service" trap, soothe yourself with the recent musings of the man in charge of the subway: "There is no clock ticking because there is no clock. We are nowhere." TL;DR: " : Good Service = a train will almost possibly might show up at some point before Jesus comes back." Kinda up for grabs since the Whisperers killed Jesus in the mid season finale. Never attributed it to the quality of service. The fact that the MTA is admitting the use of the term to basically be that of a mindfu*k, simply goes to show how far & rapid this agency is & has fallen. I don't find this all that shocking. The idea that there's a threshold after which a delay is reported makes sense. Now, I think they shouldn't be tracking just en-route OTP (if you have 12 trains all 20 mins late after going through some QB flagging sans supplement, they're late, but they aren't gappy, though the fact that service is slow should be noted), but that, and the implied critique of off-peak headways are different subjects. For one thing, the system's ancient technology means that the MTA literally doesn't know where most of its trains are at any given moment. It may also sometimes take a minute to update the website after major incidents (possibly due to the fact that they're using a web browser from 1995). Knowing where all the trains are and having a computer track them would go a very long way towards providing good, actionable data for commuters. Set the parameters for good service and let the computer write the announcements and provide alternatives (taking the entire state of the system into account).